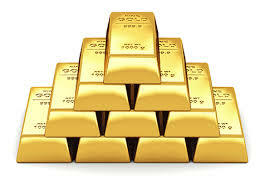 MTECHTIPS- Gold prices trimmed losses on Wednesday, after the release of downbeat U.S. housing sector data dampened demand for the greenback, but the precious metal remained under pressure amid an overall rise in risk-appetite. On the Comex division of the New York Mercantile Exchange, gold futures for December delivery were down 0.16% at $1,277.60, off session lows of $1,274.68. The yellow metal suffered its steepest one-day drop in nearly six weeks on Tuesday, after strong data on U.S. retail sales and manufacturing activity kept alive the chance of another rate hike by the Federal Reserve this year. Market participants were looking ahead to the Fed’s most recent policy meeting for indications on future policy moves. The Fed will release minutes of its most recent policy meeting later in the day at 2:00 PM ET (18:00 GMT). Demand for the safe-haven precious metal also continued to weaken after North Korea said on Tuesday it had delayed a decision on a plan to fire missiles at the U.S. Pacific territory of Guam while it watches U.S. actions a little longer.